Ahead of the summit, India has been again targeted as a spoiler. It must stand its ground till the end. 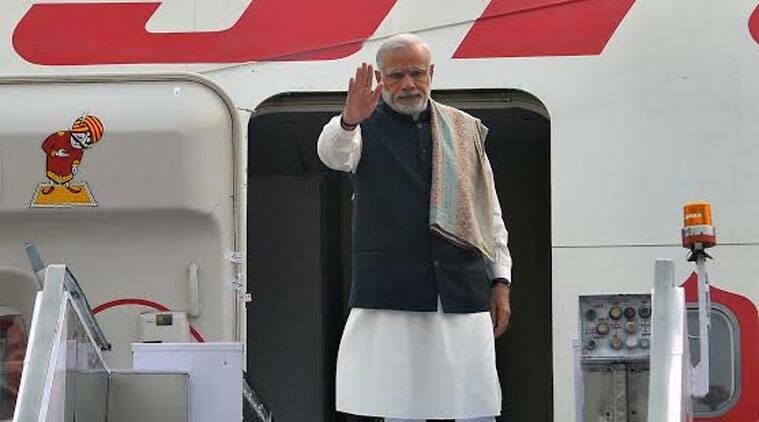 The 21st Conference of the Parties to the UN Framework Convention on Climate Change (UNFCCC), COP 21, convenes in Paris, and a large number of heads of state/ government, including Prime Minister Narendra Modi, are expected to attend. There is hope that this latest climate summit will avoid the failure and frustration of the earlier summit in Copenhagen, in 2009. The assembled world leaders ought to be able to applaud a successful outcome on December 11, the last day of the conference, barring unforeseen deadlock on some pending issues. There is consensus that the agreed outcome will incorporate the voluntary pledges of climate change action already made by the parties in the form of intended nationally determined contributions (INDCs), which will then be subject to periodic international review, but with no penalties for non-achievement. Setting the bar so low means a least common denominator result that all can live with. It is another matter that, taken together, the pledges do not, at all, add up to the scale and urgency of the threat posed by global climate change. But there are pending issues that could derail the summit. There are also new elements being put on the table, which could complicate matters. There is the question of the legal character of the outcome. Since the pledges are voluntary and not subject to international compliance procedures, the simplest and most obvious way out would be to adopt the outcome as a COP decision under the UNFCCC. Or, one could have an outcome that is legally binding, but not the pledges themselves or the review. The legal commitment would be for parties to submit pledges and subject them to review at designated and periodic intervals. The outcome would thus constitute a legal template for future actions on climate change. Alternatively, there could be a legally binding outcome in which the pledges themselves become legally binding as well, and subjected to strict international compliance. However, this is unlikely to command consensus, since it would mean overturning the voluntary nature of the pledge and review system. Arvind SubramanianThe writer is chief economic advisor to the government of India. But will we? There is real anxiety in India, and other poorer countries that rely heavily on coal, that the stance of advanced nations might in one vital respect stand in the way of successfully fighting climate change. In the run-up to the conference, there is a growing call — first articulated clearly at this year’s summit of the Group of Seven leading industrialised nations — to phase out fossil fuels. The US and others have also vowed to vote against fossil fuel energy projects in developing countries when multilateral development banks are voting on them. Meanwhile, the US produces at least 35 per cent more coal than India. For India — a country struggling to provide basic electricity to about 25 per cent of the population, according to conservative estimates — this smacks of a “carbon imperialism”. And such imperialism on the part of advanced nations could spell disaster for India and other developing countries. In fact, rather than replacing coal, the only way India and other poorer nations can both meet their needs and minimise damage to the environment may be to find effective techniques to “clean and green” coal. Under any plausible scenario, coal will provide about 40-60 per cent of India’s energy until 2030. It will, and should, remain the country’s primary energy source because it is the cheapest fuel available. Private investors may be reluctant in funding defence projects in India. That is where the Union government has to show the way with innovative ideas. Chinnu Senthilkumar is a Partner & CTO in Exfinity VC fund. Chinnu held senior Management roles in Intel, SanDisk in US and India and holds 9 US patents. The entrepreneur community must be smiling these days—the Government of India has been announcing several “Fund-of-Funds” over the last few months, through vehicles like SIDBI (Technology Innovation Fund ~ 2000 Crores), Canbank Ventures (Electronics Development Fund ~ 2200 Crores) etc. in the interest of promoting a broad-based eco system . Over and above this, the Government of India recently announced yet another fund for infrastructure projects, the National Investment and Infrastructure Fund (NIIF), chaired by the Finance Minister Mr.Arun Jaitley. While acknowledging the role and initiative of the Union Government in fostering an ecosystem across multiple areas, this author feels that a mission critical venture capital (VC) fund, specifically meeting the needs of entrepreneurs focused on defence and security-related technology still merits attention. It can probably be in the form of a joint effort between the Ministries of Defence and Home Affairs.India accounted for about 15% of the total volume of global arms imports in the last 5 years, more than three times that of China, according to a new data on international arms transfers published by Stockholm International Peace Research Institute (SIPRI). India’s obsessive spending on defense ranges from big ticket items like combat aircrafts to multi-million UAVs. Though successive governments have been talking about cutting down defence imports, developing a domestic defence industry as an alternative requires expedition of a broad-based defence indigenization as the only way forward. Developing any new technology eco system, especially one like defence technology, takes sustained effort at multiple fronts—university-level research, government-funded R&D houses like DRDO, technology transfer from other countries and most importantly, a favourable entrepreneur eco system encouraging entrepreneurs to explore a particular area. In Catastrophe 1914: Europe Goes To War, historian Max Hastings writes, ‘Indian troops taught the British the art of patrolling’. There were so many Indians in the trenches in France that the British foreign office was asked to supply 10,000 goats a month to meet the dietary requirements. I saw this story a few days ago and was surprised by it. It said the Islamic State of Iraq and Syria, also called ISIS and Daesh, “does not consider South Asian Muslims, including Indians, good enough to fight in conflict zone of Iraq and Syria and treat them as inferior to Arab fighters.”Because of this belief, “the fighters from South Asia are usually housed in groups in small barracks and are paid less than the Arab fighters and are provided inferior equipment,” the report said. This information came out of an intelligence report prepared by foreign agencies and shared with Indian agencies. It said fighters from India, Pakistan, Bangladesh as well as certain countries like Nigeria and Sudan are considered inferior to Arab fighters. I do not know much about the history of warfare in Nigeria and Sudan. But I can assure the Arabs that the subcontinental man has a better record of fighting than them. On the one hand it is a good thing that the Arabs are not using this asset because their cause is wrong. But on the other hand, it may interest the reader to know the history so that the record can be set straight. Professional Indian fighters first appear in history in 479 BC in Greece. This is at the Battle of Plataea between the Iranis and the Greek city-states. The historian Herodotus tells us about the various formations on both sides and describes the Indian contingent of mercenaries, hired by the Persian king Xerxes. I read the book a long time ago and if my memory serves me right, mercenaries from no other nation were hired, except India. Afghanistan’s defence spending is set to increase significantly as the country sets out to completely overhaul its national infrastructure and defence industry. Simon Williams and Nicholas Dale discuss Afghanistan’s future military strategy and take a look at the equipment on the country’s procurement list. Ensuring the emergence of a peaceful Afghanistan hinges as much on economic viability as it does on military projection. Enhancing local infrastructure is key to paving the way for a bright Afghan future. Modernisation of logistics solutions that foster cost-effective and secure import and export of foreign and domestic goods, which historically underpinned Afghanistan's centrality to the Silk Road, will again be necessary to guarantee the country's long-term success. Renewed pledges from Kabul to hike the defence spending budget may offer a beacon of hope for the realisation of this objective, if the central government's forecasts are not overly optimistic. While Afghanistan is still healing from the scars of the Soviet invasion of 1979-89 and the US-led War on Terror from 2001 to today, many Afghans wish to see their country re-emerge as a land of peace, prosperity and freedom. To do so, Afghanistan's requirements are not dissimilar to what the country needed in the 1980s, 1990s and 2000s - substantial investment in security, logistics, and a diversity of available economic opportunities. Recent assessments by economic and military experts have suggested that Afghanistan's defence spending budget will increase in the coming years, building on the country's allocation of 8.4% of GDP to this sector in 2015, with an estimated increase to 11.6% by 2020. China's Current Military Regions and a Proposed Reorganization into Military Theaters. (Source: Google Earth/Peter Wood) Full sized map available at the bottom of the page. President Xi announced a 300,000-personnel reduction at the 70th anniversary military parade (China Military Online, September 3). The reduction represents the most significant element of the current military reforms so far made public. Less contentious elements of the reform plan regarding training, rules and regulations, and military education are already underway, with the major organizational restructuring represented by the establishment of theater joint commands yet to be announced (PLA Daily, August 24;China Military Online, March 25; PLA Daily, January 6). This new round of reforms initially announced in November 2013 will be much more extensive than previous efforts. It is certain that theater joint commands will be formed, probably resulting in some reduction in the number of regional commands, though the lack of announcement on this most significant area could indicate that issues remain unresolved, or was merely delayed for a future announcement. The creation of Chinese theater regional commands would represent a transition to a much more lean and effective military command structure. Rumors in the press both before and after the parade announcement have speculated on a number of possible reform measures including the command reorganization. The ground forces will lose their preeminence to as the aerospace, maritime and cyber domains gain in prominence. People’s Liberation Army (PLA) academics have long-debated plans for establishing joint commands, but a reduction in Military Regions could be meeting resistance even among President Xi’s handpicked supporters in the military due to the number of officer billets that would be eliminated. The PLA press has noted some confusion within the ranks, calling for loyalty to the leadership and support for the military reforms. Building consensus for a force reduction was likely easy. Agreeing on a joint command system was likely more contentious. Afghan President Ashraf Ghani on Thursday dismissed national security agency officials who he said had neglected their duty to defend the northern city of Kunduz, which Taliban militants briefly captured in September. The Taliban’s seizure of the city was a major setback for the government, and prompted Washington to prolong the 14-year-old U.S. military engagement in Afghanistan. Government forces wrested back control of the city after days of fighting in which a U.S. air strike destroyed a hospital run by the Medecins Sans Frontieres (MSF) aid group, killing 30 people. “There was a lack of unified command, and even though there were many Afghan troops in Kunduz, we failed,” Ghani said in a speech in Kunduz, an important trade gateway to Central Asia. Ghani said the National Directorate of Security (NDS), the intelligence agency, had not been successful. The agency’s provincial chief was among those dismissed, Ghani’s office said. “I have issued an order to dismiss all NDS personnel who neglected their duties,” he said to cheers from the crowd. He did not specify how many officials would be removed, but said some would be prosecuted under the military code and some dismissed. China sent a convoy of gasoline to Nepal in response to request for help during a fuel crisis (Source: ChinaNews). A landmark agreement signed in October saw China extend “emergency fuel assistance” to Nepal in the wake of the serious fuel shortage there. It is expected to pave the way for greater bilateral cooperation. The fuel agreement was preceded by a sharp deterioration in India-Nepal relations, sparked by differences regarding provisions in Nepal’s new constitution in September. 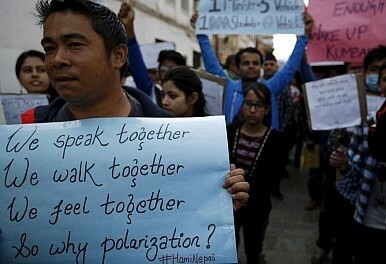 Meanwhile, the people of Nepal’s Terai region, which borders India (and who largely originate from India), escalated their protests against discriminatory provisions in the constitution. An “unofficial Indian blockade” of trucks carrying essential supplies to Nepal followed, resulting in a crippling shortage of fuel and food items. With the fuel crisis worsening, the Nepalese government turned to China for help (China News Online, October 31). On October 28, the two governments signed an agreement under which Beijing is providing Nepal with a grant of 1.3 million liters of petroleum to ease the crisis immediately. The two countries could opt for a long-term agreement on fuel supply (Himalayan Times, November 13). China’s supply of gasoline to Nepal marks the end of India’s decades-old monopoly over fuel sales to that country. Will this new arrangement will begin to able to erode India’s grip over Nepal’s foreign trade or will geography continue to favor India? An examination of Nepal’s geography and historical ties with India and China points to what the future holds for its relations with the two Asian giants. Sandwiched between India and China, Nepal is a landlocked country making it dependent on its neighbors for international trade and access to the sea. Geography creates a stark contrast between Nepal’s borders with its northern and southern neighbors. Of its two neighbors, India provides it with the geographically more convenient trade route. The terrain between Nepal and India is comprised of mountains ranging between 600 meters and 2,200 meters in height, valleys and plains. In contrast, the terrain to Nepal’s north consists of mountains of an average height of 6,100 meters, which face the icy and arid Tibetan plateau. Most of the passes between Nepal and China are snow-bound throughout the year. Hence, travel and transport through the Indian plains is the easier option. From Nepal, the distance to Indian industrial towns, trading hubs and ports is also far less than to those in China. With travel to the Indian plains easier—and with less daunting terrain––the 1,751 km long India-Nepal border is a porous one. Population flow between Nepal and India has always been “continuous and unrestricted.”  Thus it is with India that Nepal has traditionally had closer relations and greater socio-economic interaction and cultural exchange. The cover of a recently released DAESH manual intended for lone wolf terrorists in the United States and other English speaking countries (Source: SITE). On October 18, 2015, a DAESH promoter posted a 63-page English-language manual entitled Safety and Security Guidelines for Lone Wolf Mujahideen on Twitter. Reportedly, three former members of Saddam Hussein’s intelligence service now with this jihadist organization in Raqqa, Syria, produced the document, which was adapted from an older al-Qaeda online Arabic language course. The new manual advises clandestine small-cell and individual jihadist terrorists operating in Western countries on how to maintain security. Although these guidelines are based on al-Qaeda doctrine and tactics, they have been updated to include the latest technology and thinking. With the manual’s publication, DAESH has demonstrated its intention to create a new hybrid war weapon in its arsenal against the United States—a hidden weapon designed to be difficult to trace operationally back to the jihadist organization or to detect before an operation is executed. In the wake of the DAESH attacks on Paris on November 13, 2015, the United States and other English-speaking allies would do well to consider the instructions contained in this terrorist manual as another significant warning. DAESH and al-Qaeda both claim the same Salafist-Jihadist ideology, and the leaders of both organizations have often called for attacks inside the United States. The two groups also share many of the same terrorist and small-group guerrilla tactics. 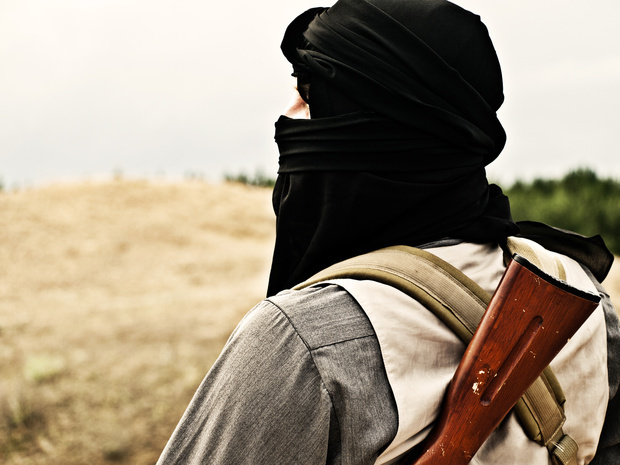 However, before the terrorist attacks in Paris on November 13, one of the key differences often noted between DAESH and al-Qaeda was the former’s strategic priority on the “near” enemy, while al-Qaeda is known for its attacks on the United States and its European allies, which are considered “far” enemies. After Paris, that distinction between al-Qaeda’s and DAESH’s strategic targets is no longer valid, if indeed it ever was. The dangerous skies over Syria have now earned their reputation. The Turkish foreign ministry has confirmed that its forces had shot down a fighter aircraft near the Turkish border with Syria. The Russian foreign ministry confirmed soon afterwards that it has lost an SU-24 over Syria. The situation remains tense: two crew members were filmed ejecting from the stricken aircraft - early reports from Reuters said it had video of one of the crew pilot seemingly dead on the ground. Russia later confirmed two of its personnel were dead. One of the pilots and a marine in a helicopter flying a rescue mission for the two pilots that was attacked by rebel fire. Russian president, Vladimir Putin, called the incident a "a stab in the back, carried out by the accomplices of terrorists". He said the shooting down would have "significant consequences, including for Russia-Turkish relations". Meanwhile, at a meeting of NATO's North Atlantic Council in Brussels, diplomats condemned Russian incursions but said Turkey should have escorted the Russian warplane from its airspace. "There are other ways of dealing with these kinds of incidents," one unnamed diplomat told Reuters. This comes at a time, following the Paris attacks, when the US and its Western allies had been reaching a tentative agreement with Russia to solve the previous impasse over a possible transition of power in Syria. Turkey and other Sunni Middle Eastern states are ranged against the Assad regime and not happy at the prospect of a deal that would leave him in power - even if only on a temporary basis. Iran and Russia have been keen to see their Syrian ally remain in power, although Russia has been coming around to the idea of a transition but has steadfastly argued that it is imperative to defeat Islamic State militarily first. One can expect Putin to hit back at Turkey at a time and place of Russia’s choosing. It would be very unlike him to let it pass. We must not expect any let up in Russian efforts on Turkmen positions around Latakia, Russia’s main airbase. The ghosts of the past never really leave us. The contest between modern Russia and Turkey goes back to the fog of early times. After the retreat of the Mongols, both Russia and Turkey began to emerge as powerful states jostling for primacy while being driven by their faiths. As the two neighbours began expanding outwards they began a series of clashes over the Black Sea basin. Russia was on the ascendant after it defeated Sweden at Poltava in 1709. Russia won the Crimea and southern Ukraine from Turkey in 1783. Not surprisingly the decline of Turkey coincided with the rise of Russia. The two empires fought each other for the last time during the First World War. However, by the end of the war both monarchies had been either overthrown or defeated. While Turkey officially remained neutral during the Second World War, the USSR viewed Turkey’s continued relationship with Nazi Germany, whose warships were allowed passage through the Straits of Bosporus, as inimical to it. But no sooner that war ended the Cold War began and Turkey joined North Atlantic Treaty Organisation and America-sponsored the Central Treaty Organisation. The Russian-Turkish friction began again as the United States stationed forces in Turkey and built a huge airbase at Incirlik. One of the lesser-known transactions leading to the lifting of the US naval blockade of Cuba and withdrawal of nuclear capable Soviet R-12 intermediate-range ballistic missile (IRBMs) from Cuba in 1962 was the US withdrawal of its Jupiter missiles from Turkey. China carried out a sixth flight test of its new high-speed nuclear attack vehicle on Monday designed to defeat U.S. missile defenses or carry out global strikes. The ultra-fast maneuvering strike weapon known as the DF-ZF hypersonic glide vehicle was launched atop a ballistic missile fired from the Wuzhai missile test center in central China’s Shanxi Province, according defense officials. The vehicle separated from its launcher near the edge of the atmosphere and then glided to an impact range several thousand miles away in western China, said officials familiar with details of the test. The DF-ZF flight was tracked by U.S. intelligence agencies and flew at speeds beyond Mach 5, or five times the speed of sound. Pentagon spokesman Cmdr. Bill Urban declined to comment. “We do not comment on specific PRC weapons tests, but we do monitor Chinese military modernization carefully,” Urban told the Washington Free Beacon. It was the sixth time the hypersonic glider has been flight tested since last year. The website China Spaceflight reported Sunday that the test would take place, based on the Chinese government announcement of airspace closures along what would ultimately become the zone used by the glide vehicle during the flight test. The website reported that the airspace restrictions were similar to closures announced prior to an August DF-ZF flight test.The airspace was closed to commercial and military air traffic between 12:53 a.m. and 1:40 a.m. Beijing time on Nov. 23—the likely timeframe of the test. China’s most recent DF-ZF test took place Aug. 19, also from Wuzhai, and like Monday’s flight test was judged a success. The US intelligence community is failing in its duty to protect America against the threat of future attacks by the Islamic State of Iraq and the Levant, a former senior intelligence official has warned. In echoes of the criticisms after the 9/11 attacks, Derek Harvey, who worked as a top intelligence agent and advisor on Iraq, Afghanistan and Pakistan said the CIA and other key spy agencies have drawn dangerously flawed conclusions about the jihadist group. Up until the Paris attacks, US intelligence agencies widely believed Isil was focused almost exclusively on its wars in Iraq and in Syria, leaving attacks against Western nations up to “inspired” volunteers. But in an interview with the Telegraph, Mr Harvey poured scorn on this assessment, insisting that far from being ”lone wolves“, perpetrators of attacks in the West were part of a command structure. Mr Harvey, who worked for the Defence Intelligence Agency in Iraq, and later as the director of Afghanistan-Pakistan for the Pentagon’s Central Command said he had quit in frustration at the intelligence community’s “lack of creativity” when it came to thinking about and understanding jihadist insurgencies. On September 11th 2001 the world entered a new era of violence. In the end there will be less religion in the world, just like in Europe after 1648, when humanism and the Enlightenment unfurled their victory banners. Before us lie bleak years. The attacks on Paris and Beirut prove that Islamic terrorism hasn’t been defeated, the opposite is the case. September 11th was the prelude, the beginning of the war. The jihadis of Al Qaida, Boko Haram, and IS believe wrongly that they are in possession of a comprehensive truth. They enforce, so they claim, the will of Allah and his mission for us. In this truth chaos and decline are part of the equation. “They love life, we love death” writes the perfidious terrorists on their flags. It’s not just Christianity, not just the refrigerator or Coca Cola, they hate everything that does not bend to their wretched views and their apocalyptic furor. The largest victim group is still Muslims, who in the worldview of these radicals are an eye sore. There is no mistaking: we, in the East as in the West, in land of the rising sun as well that of the setting sun, can only beat these twisted people through force, by the use of soldiers, drones, with the help of secret information gathered by intelligence agencies, and with the knowledge and sad understanding, that their will be many casualties, sadly including civilians. The greatness of our culture would survive, so long as it can retain its form, if it can put the brakes on, not meeting absolute terror with the absolute abandoning of its virtues. This hasn’t been successful in the US, and many countries in the West still struggle with moderating between the pulls of freedom and of security. But it’s clear: there is an enemy, and this enemy wants to destroy us. “Us” is everyone who orients themselves in their lives with humanistic values. That is the majority, in Paris and Beirut, the latter of which in Europe is called “the Paris of the Near East.” We may have different cultural and religious heritages, but we are all still human. A Syrian military source said rebels are making heavy use of U.S.-made anti-tank missiles paid for by Saudi Arabia and supplied via Turkey in recent weeks and the weapons are having an impact on the battlefield. The so-called TOW missile is the most potent weapon in the arsenal of rebel groups battling President Bashar al-Assad, and has been seen in action more frequently since Russia intervened with air strikes on Syria on Sept 30. A rebel group was shown using one of the guided missiles to destroy a grounded Russian helicopter in Syria on Tuesday. Addressing the increased supplies of TOW missiles for the first time, the Syrian military source said they had an impact on the fighting, but played down their overall significance, saying the army was gaining ground. “Through the course of the battles it became apparent that the terrorists have a bigger quantity of American anti-armor TOW weapons. They started using this weapon intensively,” said the source. The Syrian government describes all the insurgents fighting it as terrorists. The comments are a further indication of how increased military support for rebels from Assad’s foreign enemies has helped the them confront a major, multi-pronged attack by the Syrian government and its allies Russia and Iran. “The Spymasters” begins with an act of vengeance. Leon Panetta, the former director of the Central Intelligence Agency, recounts an agency manhunt for the planners of a 2009 suicide bombing at a desolate base in southeastern Afghanistan that killed seven of its employees. Hours after he attended the burial of one of his officers at Arlington Cemetery, Mr. Panetta gave the order for an armed drone to destroy a compound in Pakistan that was hiding a militant leader — killing everyone there, including the intended target’s wife and children. That opening monologue is a fitting start for Showtime’s two-hour documentary about the C.I.A.’s secret wars, which have wholly remade a spy agency once created to collect and analyze Cold War intelligence. At turns engrossing, maddening and unsatisfying, “The Spymasters: C.I.A. in the Crosshairs,” directed by Gedeon and Jules Naudet, relies on interviews with the 12 living C.I.A. directors (and two men who served as acting director), as well as others who have been central to the agency’s terrorist hunt. (In an act of corporate synergy, it is narrated by Mandy Patinkin, who plays a C.I.A. grandee on Showtime’s “Homeland.”) Almost all of the film is spent talking about the years since the Sept. 11 attacks, paying particular attention to the most polarizing tactics — targeted killings, secret detentions, waterboarding — that the C.I.A. has employed in the last 14 years. IT’S ELECTION SEASON, and teams of journalists are avidly tracking the flow of big money into political campaigns. Sifting financial records and filings, they are laying bare the activities of Super PACs, 501(c)(4)s, and campaign committees. There’s a parallel realm of big-money activity, however, that receives much less attention: philanthropy. With the explosion of the billionaire class, the number of deep-pocketed donors and foundations has mushroomed as well. Many of the new benefactors are Wall Street and Silicon Valley moguls who are seeking to apply to social and economic problems the same zest for innovation and entrepreneurship that they showed in their business ventures. The creed of these new philanthropists was brashly outlined in June by Sean Parker, the co-founder of Napster and founding president of Facebook, in anarticle appearing in the Wall Street Journal under the headline, “Philanthropy for Hackers.” Traditional philanthropy, he declared, is “a strange and alien world made up of largely antiquated institutions.” These old-timers have long favored “safe” gifts to well-established institutions, “resulting in a never-ending competition to name buildings at major universities, medical centers, performing arts centers and other such public places.” The new breed, by contrast, has a hacker mindset: It is anti-establishment, believes in “radical transparency,” is given to problem solving, and has an ability to identify weaknesses in long-established systems and to disrupt them. With this “hacker elite” now seeking to upend philanthropy, Parker exhorted them to resist the urge to institutionalize and instead treat philanthropy as “a series of calculated risks” and “big bets.” In a bid to put these principles into practice, Parker launched a foundation bearing his name, with an endowment of $600 million and a commitment to finding new ways to fight allergies, malaria, and cancer. 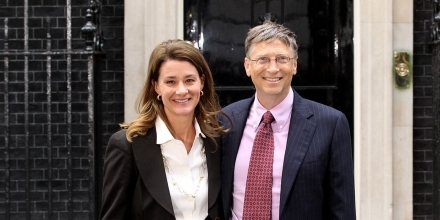 Interestingly, there are two members of the hacker elite who for 15 years now have practiced this style of philanthropy in a big way: Bill and Melinda Gates. The Bill and Melinda Gates Foundation is by far the largest such institution in the world. Its assets of $41 billion are more than double the combined assets of the “Big Three” foundations — Ford ($12 billion), Rockefeller ($4 billion), and Carnegie ($3 billion). The Gates Foundation has all the traits Parker extols, and its work has served as a sort of grand experiment in the new “venture philanthropy,” as it’s sometimes called. Many in Washington are sounding the alarm about the dangers of cyberattacks affecting new technology. But what if the very materials to make said technology were no longer available? 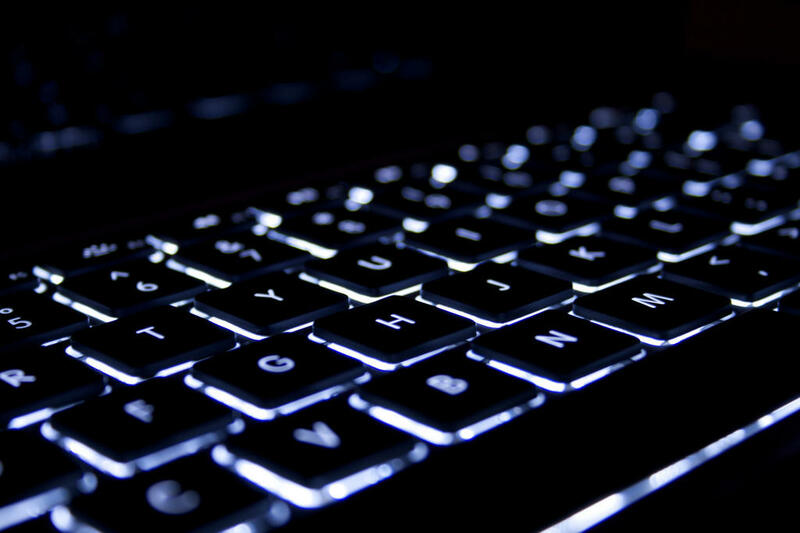 Last month the Defense Department released guidelines to reduce the chance it buys components susceptible to cyberattacks. While cyberattacks raise the possibility that components will stop functioning the moment they are needed, another fundamental risk facing the military supply line may be even more prominent: acquiring the components at all. Weapons of today have evolved to a point where they need to be smart, fast, light, and stealthy. These new demands force the military to rely upon more elements on the periodic table than ever before. Properties of specialty metals—a grouping of metals produced in limited quantities in the hundreds or thousands of tons compared to base metals which are produced in the millions of tons—have helped build a new generation of warfighters. Just a sprinkling of a few rare metals helps turn dumb, gravity bombs into intelligent, precision-guided missiles. These elements from rare earths to indium are so critical and often irreplaceable due to each’s unique properties, meaning a lack of them creates enormous vulnerabilities. And they abound in all our cutting-edge weaponry, from our smallest missile to our largest aircraft carrier. The F-35 is a flying periodic table. Beryllium fasteners hold the plane together because of the metal’s weight and strength; gallium amplifies the radar’s signal; and tantalum sits in the capacitors needed for the plane’s controls. As Maj. General Robert Latiff (Ret. ), a Ph.d. in material science, notes, without these materials the military would revert to 1960s or 1970s performance. Washington (CNN)In the wake of the attacks in Paris, the world’s attention has refocused on terrorism, and in the U.S., conversations about national securityhave increased in both frequency and force. The U.S. intelligence apparatus is vast, spanning some 16 agencies, with a staff of more than 100,000 people, a budget above $66 billion and a staggering array of operations, many of which are necessarily secretive. The United States compensates for its lack of human resources on the ground in Syria by trying to get the most out of its resources in space. The National Reconnaissance Office has launched spy satellites to monitor activity the world over. But these satellites don’t just take pictures. Even from the void of space, they hear noise, sense heat and record vibrations. “We used to play near tracks, railroad tracks, and you could feel the train coming before you could hear it. You could hear it before you could see it,” NRO Director Betty Sapp explained, comparing her childhood experience with the satellites. PARIS (AP) — The Paris attackers exploited intelligence holes from France to Syria, authorities say, taking advantage of mistrust between European governments, France’s overwhelmed security services and the collapse of authority across the war zone contested by the Islamic State group. Eleven days after the attacks in Paris, French authorities have announced few details about the investigation, and Brussels remains locked down for reasons the government has hardly explained. Officials aren’t disclosing everything they have found out about the attackers and their travels between Europe and Syria. But officials and security experts say it seems clear that Europe’s borderless travel and suspicion between governments at sharing intelligence information left the continent vulnerable. “At the national level it’s a question of resources. Dealing with just the sheer number of foreign fighters, of known and potential terrorists in a country like France, has without question started to overwhelm the French security services,” Christopher S. Chivvis, associate director of RAND’s International Security and Defense Policy Center, told The Associated Press. For the past quarter century, communications technology has evolved and grown the point where practically every business, service, and family platform is connected to the internet. But that interconnectivity was approached from a from a commercial development approach, according to cybersecurity expert Melissa Hathaway. That means the first-to-market, free market approach means security and resilience weren’t concerns as the internet was embedded in critical infrastructure. Hathaway spent her early career with security firm Booz Allen Hamilton, and now leads Hathaway Global Strategies LLC. She advises the U.S. and other governments, organizations, and industries on risk management, technology, and policy surrounding cyber security. She thinks it will take another 25 years to reduce these vulnerabilities and increase resilience to the point where consumers will still trust and use technology. “One of the things that we need to start to do is look at where we can incentivize the IT industry to create better-engineered products with less vulnerabilities and create the marketplace that’s desirable – whether that’s through a regulation or more of a market incentive, and get the consumers and the businesses to drive demand,” Hathaway said. In the 21st century the familiar form of warfare in which physical damage is meted out against the opponent’s military forces and infrastructure has become only one form of attack. Instead, states are increasingly launching non-lethal attacks against an enemy’s information systems — this is the rise of information warfare. Dan Kuehl of the National Defence University defined information warfare as the “conflict or struggle between two or more groups in the information environment”. You might say that just sounds like a fancier way of describing hacking. In fact it’s a lot more sinister and a lot more dangerous than its somewhat tame name implies. Western leaders are investing billions to develop capabilities matching those of China and Russia, establishing military commands for attacking, defending and exploiting the vulnerabilities of electronic communications networks. Information warfare combines electronic warfare, cyberwarfare and psy-ops(psychological operations) into a single fighting organisation, and this will be central to all warfare in the future. The free flow of information within and between nation states is essential to business, international relations and social cohesion, as much as information is essential to a military force’s ability to fight. Communications today lean heavily on the internet, or via communications using various parts of the electromagnetic spectrum (such as radio or microwaves) through terrestrial communications networks or satellite networks in space. We live in a highly connected world, but it doesn’t take much to tip over into instability or even chaos. Friday, November 20, is the last day I wore my uniform after 29 and a half years of service. I was commissioned out of the University of Texas Naval ROTC on May 21, 1986, and served continuously both active and reserve since. If I were to write a letter to my 21-year old self or any newly commissioned officer, it would be to pass on what I have learned about leadership. Through trial and error I have arrived at 10 principles of leadership. 1. Love is the bedrock of good leadership. Love allows us to forgive, to nurture, and to mentor from a place of truth. If you don’t love the troops you lead, if you are not willing to sacrifice everything for their health and welfare you are in the wrong business. In the military, both active and reserves, you may take your uniform off at the end of the day but the requirements to lead and lead well are 24x7. Further, if you don’t love what you are doing, then how do you justify the time away from family? And if you are not motivated by love of country, how are you freely able to make a decision to put country before self? So love unabashedly. 2. You are not the smartest guy in the room. It doesn’t matter how many degrees you have or where you went to school, there is always someone smarter than you in the room. If you believe you are the smartest in the room you will not listen to opposing viewpoints. You will not listen to those who will trump you on experience. You will stifle creativity. You have to be willing to allow people to have a voice so they can have ownership. That doesn’t mean you lose authority, it means you use it wisely. Everyone knows in the end you will issue direction and the rest will step out smartly. But isn’t it better to have folks skipping with enthusiasm rather than moving robotically? The PDF can be downloaded at the link below. The report provides an overview of each component (as it usually does when this report is issues every so often). It is the potential issues for Congress that is of interest as the focus is on SOF in Syria and Iraq. The issues and questions have been asked in various ways (or in some cases the same ways) since 2001. The deployment is one part of a five-part plan aimed at changing the direction of operations in Iraq and Syria, as the war against the Islamic State, often known as ISIL or ISIS, enters its second year. It will be accompanied by an increase in the number of airstrikes from both the U.S. and coalition allies. * The SOF units participating in this effort have not yet been identified. * These SOF train, advise, and assist teams will not directly take part in counter terrorism operations in Syria. * We have consulted with the Government of Iraq and our coalition partners regarding our plans. * As a matter of domestic law, we are relying on the 2001 Authorization for the Use of Military Force (AUMF).  Which component of U.S. SOF (Army Special Forces, SEALs, MARSOC, or AFSOC) will comprise this “less than 50 man” element, or will it be a joint force?  What is the rank of the individual who will command this component on the ground?  Who will command and control this force-U.S. Central Command, a Joint task Force (JTF), or some other higher headquarters?  What are the geographical limitations for the employment of this force?  What are the rules of engagement (ROE) for this SOF component?  What is the lowest tactical level where these SOF forces will provide advisory support and will they accompany local forces into battle?  What are the provisions to provide medical evacuation support to this deployed SOF component?  Is there a means to rapidly extract these forces if the situation on the ground deteriorates to the point it endangers the mission and the SOF units?  Are other allies conducting similar efforts with their general purpose and/or SOF units? If so, is U.S. SOF coordinating its efforts with these forces?  Will these SOF forces be working with other U.S. agencies or non-governmental organizations (NGOs) operating in Northern Syria?  What are DOD’s “measures of success” to determine if these SOF units are having a positive impact on the security situation in Syria? The entertainment industry continues to fight against online piracy and Google Search is one of their chosen battlefields. According to data published in Google's Transparency Report, the number of requests requests the search giant receives continues to skyrocket. In the past month, copyright owners filed requests for more than 65 million URLs to be removed from search results due to copyright infringement. That's more than 15 million requests per week, up from around 200,000 requests per week when Google started disclosing these numbers in 2011. Matches between the tennis greats are not just a duel between contemporary tennis’ best attacker and its greatest defender; it is also a contest between art and science. Sunday, November 22. It’s the finale of the men’s tennis season: the ATP World Tour Finals. Novak Djokovic, the world number one, and Roger Federer, the world number three, are battling it out in yet another final. Federer is one set down, each player has won a game each in the second set, and Djokovic – seen on the near side of the television screen – is serving at 30-0, from the deuce court (the right half). Djokovic’s serve falls just inside Federer’s service box down the middle. Federer, seen on the far side of the screen, is standing close to the sideline and returns the serve with a cross-court backhand. Shot 1: Djokovic hits a sharp cross-court forehand, with the ball going deep about two feet from the sideline. Shot 2: Federer goes for a forehand that sends the ball to the middle of Djokovic’s ad court (the left half). Shot 3: Waiting at the centre line, Djokovic backhands this ball to roughly the same spot as the rally’s first shot. Shot 4: Federer responds with a forehand down the line that’s short, falling just inside Djokovic’s service line. Shot 5: Djokovic pounces on it with his powerful double-handed backhand, going cross-court and adding a bit of spin. The ball goes deep and ricochets off the left corner of Federer’s half of the court. Shot 6: By then, Federer, having danced sideways to his left in the microseconds at his disposal, is in the perfect position to take the ball. With an imperious brushstroke of his single-handed backhand, he sends the ball down the line for a winner. We have seen this kind of rally thousands of times before, but the thrill never stops. Djokovic applauds with his racket and left hand. Despite Federer’s moment of brilliance, Djokovic goes on to win the second set, the match and the tournament, further widening the already huge gap in points between him and the number two, Andy Murray, and Federer, who is slightly behind the Scotsman. Djokovic has had one of the most successful years in tennis history. But Federer has done well too, by reinventing himself. This year, Federer won two of the seven finals they contested, but all of those matches were deeply rewarding to watch. For theirs is not just a rivalry between the contemporary game’s best attacker and its greatest defender – it is a contest between art and science. It is as full a study in contrast as one can expect. Almost all the metaphors we use about Federer’s game come from the arts: maestro, dancing, oil paintings, brushstrokes. The Air Force has hired civilian defense contractors to fly MQ-9 Reaper drones to help track suspected militants and other targets in global hot spots, a previously undisclosed expansion in the privatization of once-exclusively military functions. For the first time, civilian pilots and crews now operate what the Air Force calls “combat air patrols,” daily round-the-clock flights above areas of military operations to provide video and collect other sensitive intelligence. Contractors control two Reaper patrols a day, but the Air Force plans to expand that to 10 a day by 2019. Each patrol involves up to four drones.Civilians are not allowed to pinpoint targets with lasers or fire missiles. They operate only Reapers that provide intelligence, surveillance and reconnaissance, known as ISR, said Air Force Gen. Herbert “Hawk” Carlisle, head of Air Combat Command. “There are limitations on it,” he said. The contractors “are not combatants.”Nonetheless, the contracts have generated controversy within the military. Critics, including some military lawyers, contend that civilians are now part of what the Air Force calls the “kill chain,” a process that starts with surveillance and ends with a missile launch. That could violate laws barring civilians from taking part in armed conflict. The use of contractors reflects in part the Pentagon’s growing problem in recruiting, training and retaining military drone pilots for the intensifying air war against Islamic State militants in Iraq and Syria. It is several hundred short of its goal of 1,281 pilots.